We've talked before about SLO's own Woods Humane Society. Especially how their determination, creativity, and innovative community partnerships have made a life-saving difference to dogs, cats, and other creatures who find themselves needing homes and TLC. Currently, these good folks are caring for Holly here, who despite some previous owner's attempts to make her look like a mean dog with a crude ear-cropping, is a happy-go-lucky girl whose tail never stops wagging. She loves people and has learned that good manners pay off for her when it comes to getting attention. She's good with other dogs and with kids (though a bit high-energy for the little ones); cats, not so much. 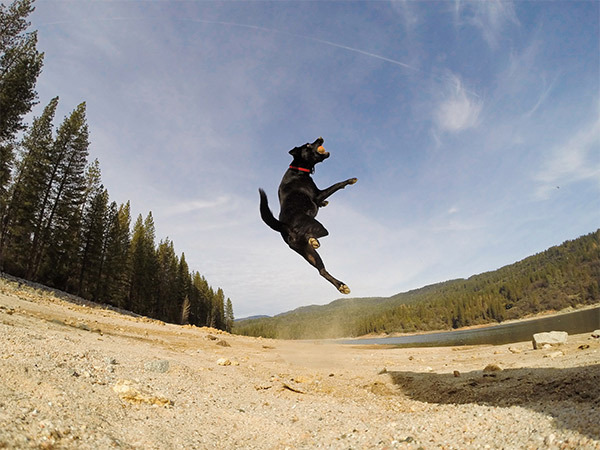 This gem in canine form is going to make some human very happy. Maybe you? 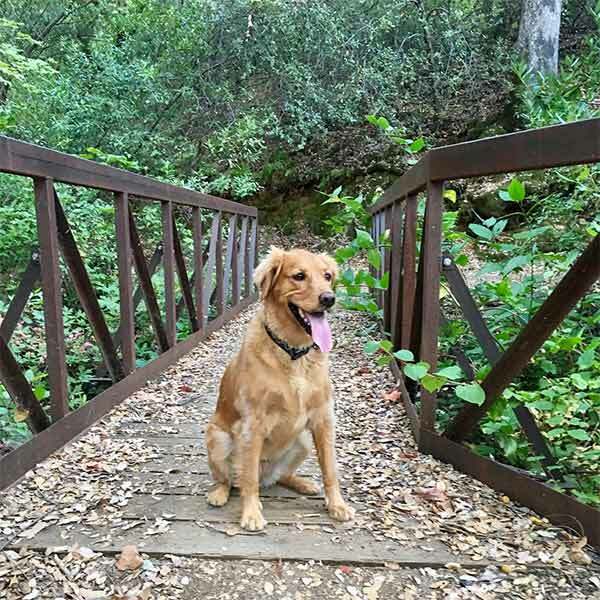 If you're planning a DogTrek to the San Luis Obispo area soon, heads up about a couple of Woods Humane events you might want to include in your plans. On April 25-26, area wineries join forces in the 7th Annual Wine 4 Paws weekend, donating a portion of their tasting room fees to benefit the animals of Woods. Most of the wineries are dog-friendly, too! For the smaller ones among us, the don't-miss event is the Second Annual Chihuahuas de Mayo fiesta on Saturday, May 2, with Chi races, fun activities for people and dogs, live music, and an all-breed adoptathon. Bring your Chihuahua!